Hospital could lift bans on mobile phone use following updated guidance by the Medicines and Healthcare products Regulatory Agency. It previously cautioned against use in some settings because of the potential to interfere with medical equipment, triggering bans in some hospitals. Its new report says hospitals should consider designating areas where staff and visitors can use mobile phones safely. Doctors have repeatedly called for bans to be lifted. The MHRA said the new advice was necessary to take account of developments in mobile technology and the growing communication needs of patients, visitors and hospital staff. 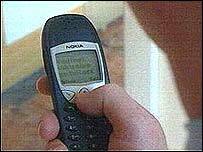 In 2003, the MHRA organised a large study of the effects of mobile communications, including emergency radios, security radios, pagers and mobile phones, on 178 different medical devices, such as pacemakers and diagnostic machines. In nearly a quarter of the tests medical devices suffered electromagnetic interference from handsets. Of these, 43% would have had a direct impact on patient care, according to the MHRA. However, most of the problems arose from handheld emergency and security radios. Only 4% of devices suffered interference from mobile phones at a distance of one metre, with less than 0.1% showing serious effects. Professor Kent Woods, chief executive of the MHRA, said: "Mobile communication technology is particularly fast moving, resulting in a wider range of communication equipment becoming available. "We have recognised that hospitals need to be updated and advised as to what action to take in light of these advances. "Overly restrictive policies can act as obstacles to this beneficial technology so this updated advice will help ensure that hospitals reap the benefits of mobile technology without compromising patient safety," he said. Doctors at the British Medical Association conference last month said modern mobile phones did not pose a problem and helped doctors look after their patients more effectively rather than having to rely on pagers. Dr Saul Myerson, a clinical lecturer in cardiovascular medicine at the John Radcliffe Hospital in Oxford, said: "I suspect this will be a spur for a lot of hospitals to look at their policy on mobile phones again. "There are potential areas where mobile phones may be used - entrance halls, corridors, cafeterias and offices, all of which are away from the clinical environment. "I think a lot of people, both staff and patients, would be quite happy to move to areas where mobile phones were allowed." A spokesman from the BMA said: "Doctors should be able to use some form of mobile communication device in hospitals. "At the moment a lot of trusts stop that from happening because of fears about the way they interfere with machinery. "But actually, there is very little evidence that modern digital devices affect hospital equipment at all. "They do enable better communication between doctors which would be good news to patients ultimately because it would mean better use of doctors' time," he said.